Brace yourselves, DC residents, because there's a new pepper in town and it's going to burn your socks off! 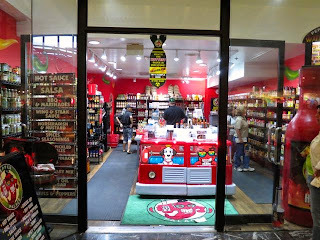 I'm talking about the hottest pepper identified today and you can get a hot sauce made with it in DC at the new Pepper Palace in Union Station! 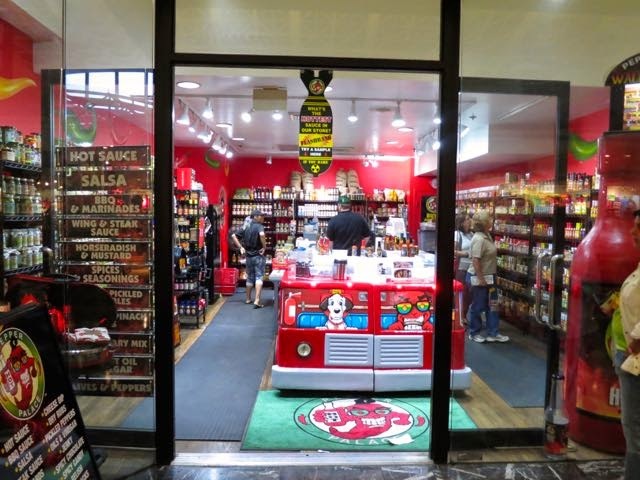 A nationwide chain, Pepper Palace hails from Tennessee and can be found in states all over the country. I only find myself in Union Station every couple of years so on this rare occurrence, I had to see if there were any new stores. And I hit the jackpot. Hot sauce is my name and Carolina Reaper is my game. So I went in hoping to find this famous pepper. In my way were a bunch of schoolkids who apparently got away from their chaperone, signed waivers they weren't old enough to sign, and tried a Carolina Reaper extract. I was lucky enough to show up just as they were all running away to puke up a pepper storm. Hilarious!! Afterwards, I tried some Carolina Reaper, Ghost Pepper, and Habanero sauces and many were to my liking. This hot sauce shop is very much like the one I found in Austin, Texas, but it is in DC! 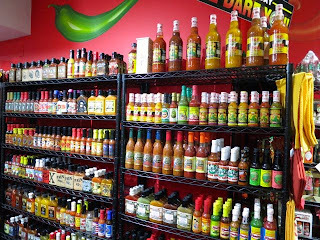 They have hot popcorn, hot nuts, hot sauce, salsa, spices -- everything hot! I even found a sauce I haven't been able to find anywhere else. 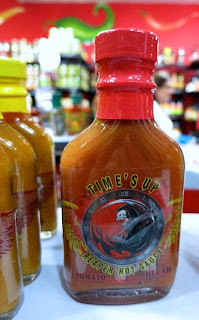 And you can try the sauces too! 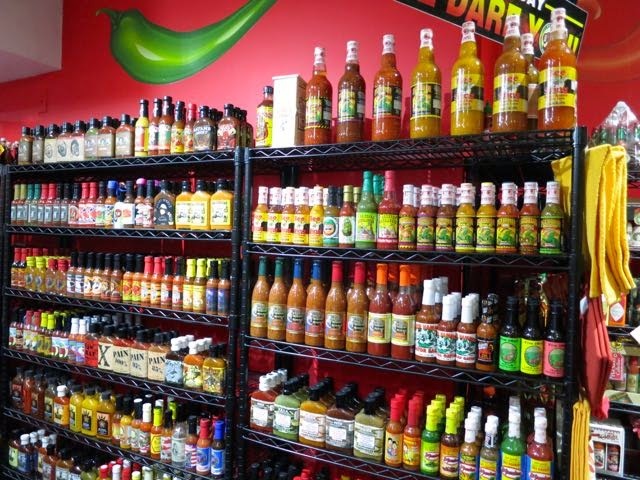 I guess I will be visiting this store regularly as I build up my collection of sauces. The prices are not cheap, but I'd expect that of a specialty store. The ghost pepper sauce I bought was $11 and the Carolina Reaper sauce I bought was $15 and yes, they are small bottles. So, what are you doing?! 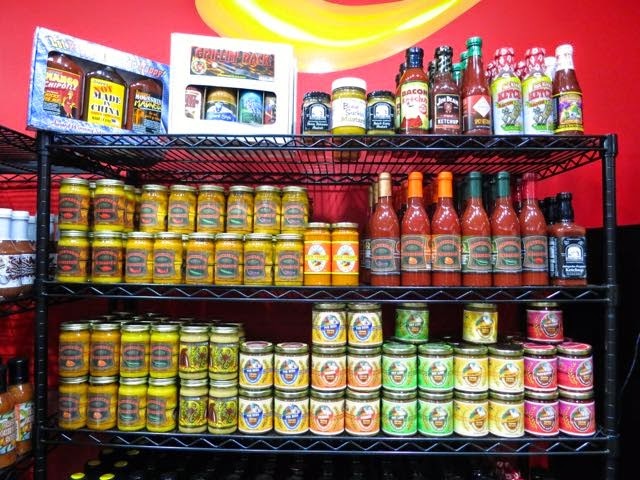 Go to Union Station and buy some freaking hot sauce now so they'll stay open in DC! Welcome to the neighborhood, Pepper Palace!